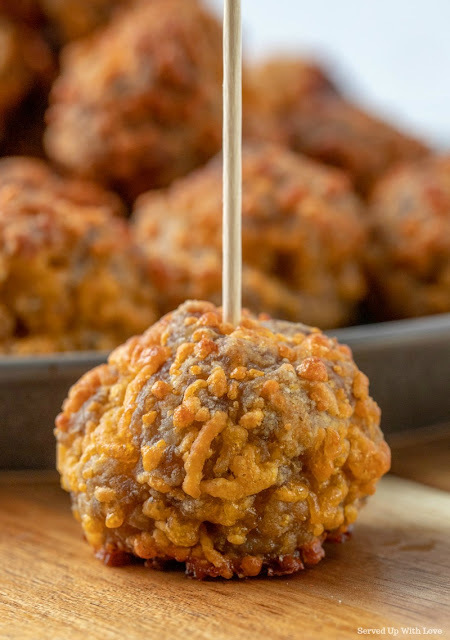 I can seriously tell you that these are my husband's absolute favorite thing during the holidays. We have hosted a Christmas Eve get together at our house for many years. 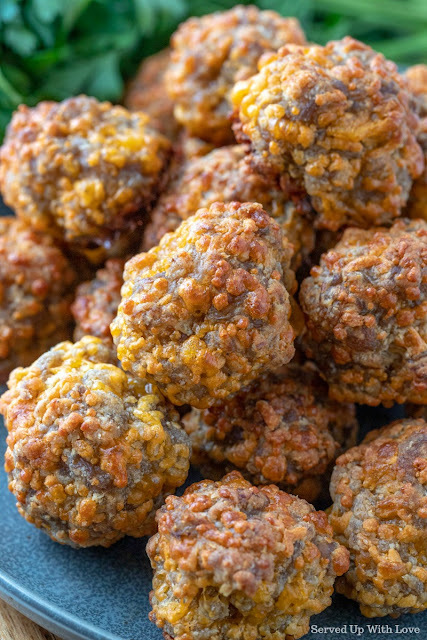 These Sausage Balls are the first thing that goes on the menu. After all the last minute shopping and tying up lose ends my family gathers at our home for a finger foods feast. Each year we make more and more and they still manage to disappear from the table. I have to admit they are highly addictive. This recipe has been around for ages. It is a simple recipe to put together. It is amazing how those 3 little ingredients come together to make a scrumptious party snack. If by some chance there are some left, we enjoy these cold for breakfast. Hey, don't knock it until you've tried it! 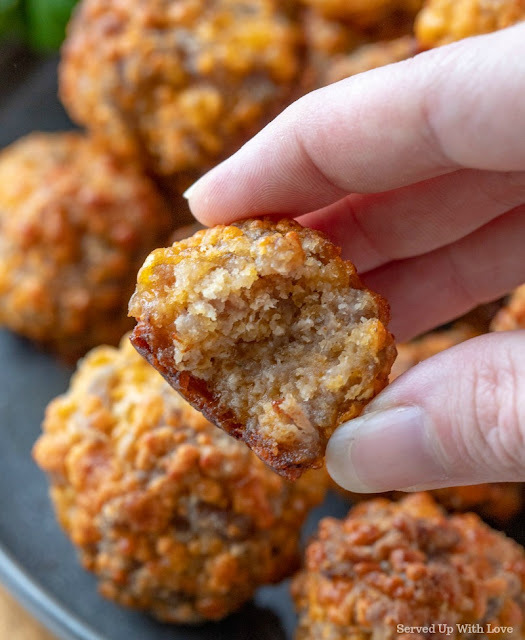 Perfect little bites of cheesy goodness! 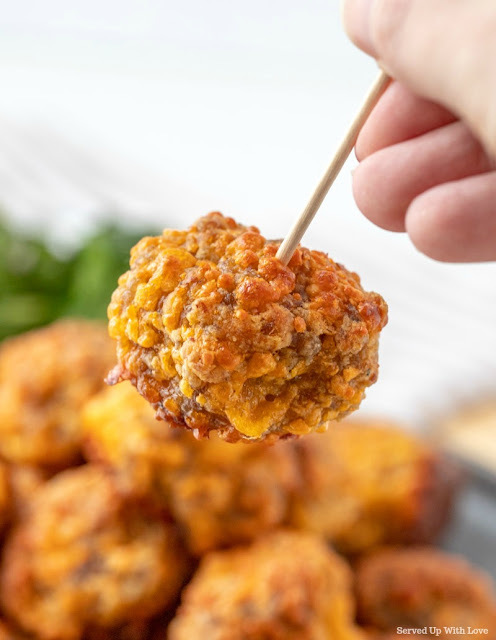 These cheesy sausage bites are the perfect party appetizer. 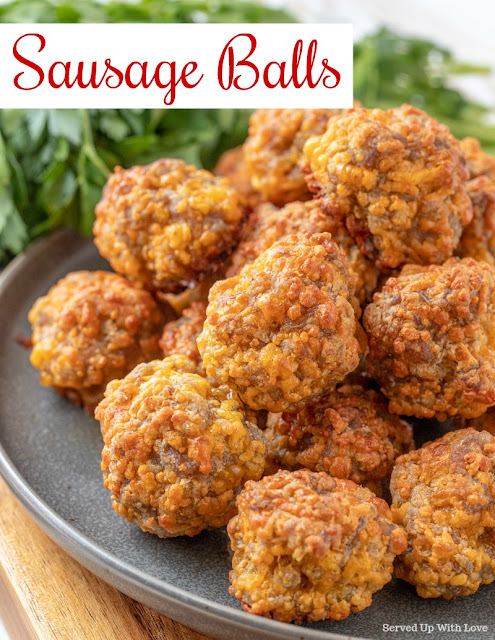 Subscribe to my weekly newsletters for free recipes, tips, and printables. 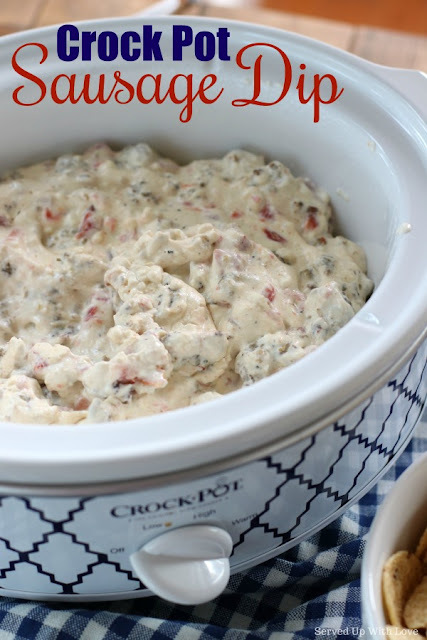 Follow Served Up With Love (Melissa)'s board Served Up With Love Recipes on Pinterest.